Online dating is a kind of mainstream thing nowadays. Such dating websites Match.com, Cupid and other giants of the online dating industry are the trend-setters. However, that doesn’t necessarily mean that you should get stuck on the most popular free dating websites, when there are enough alternative dating opportunities coming from the other sites on the web, don’t you think? Here is a short list of some newly appeared dating websites to break the uniformity of your dating life and find the real match for you. Choose anything special and may the dating force be with you! 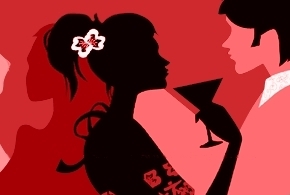 As it was proved by many sociological investigations, two people are more likely to come together on their first date if they are both involved in some kind of activity and not if they are just sitting somewhere in a restaurant and talking about something (yet communication remains good means of establishing initial bridges between you and your potential match) . And the web dating resource HowAboutWe knows the real importance of doing something together – something memorable enough for your first date. And that is why the first thing you find out from anybody’s profile is what he or she wants to do on the first date most of all. You must admit that sounds more sensible and interesting than just turning out your first date into some kind of an interview, learning information that you didn’t know while exchanging messages on the web. Originally coming from France, this site can boast 300 million page views monthly there. AdoptAGuy.com has one peculiar feature – it allows its members to group around according to their “social type” rubrics. The latter are presented with such titles as Intellectual, Bohemian, Executive, Adventurous, and Athletic. Moreover, the users can also choose their “Style” category, which can be either Chic, Corporate, Casual, Metrosexual, Sporty, Men in Uniform, Skater, or Hip-Hop. One more specific feature of this site supposes that women have to make the first move before men can exchange messages with them – rather an interesting attitude, don’t you find? This website is created for people, who are fond of reading – bookworms can always hope to find like-minded people there, searching for book lovers via AlikeWise.com. Typical profiles of people at this site include reading lists, so that you could always have the idea of what this or that person likes to read and thus drive some conclusions about his or her world-view.